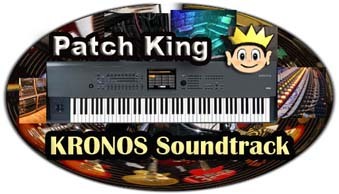 Korg Kronos Volume #2 – Soundtrack Mix – Our second collection of sounds for the Kronos HD-1 Sound Engine is now available! An amazing assortment of fully KARMA-fied Programs & Combis perfect for your next TV, video game or film project or for composers writing modern classical music. Only $75. USD. Included in the collection are 75 new sound effects with plenty of great Machine Noises, Guns & Rockets, Weird Voices, Crowd Noises, Oriental Gongs and Sounds From Nature which will make it easy for you to create a cool vibe under your video project. More Info & Demos OVER HERE!